Ancient Ties focuses on much more than neck-wear. 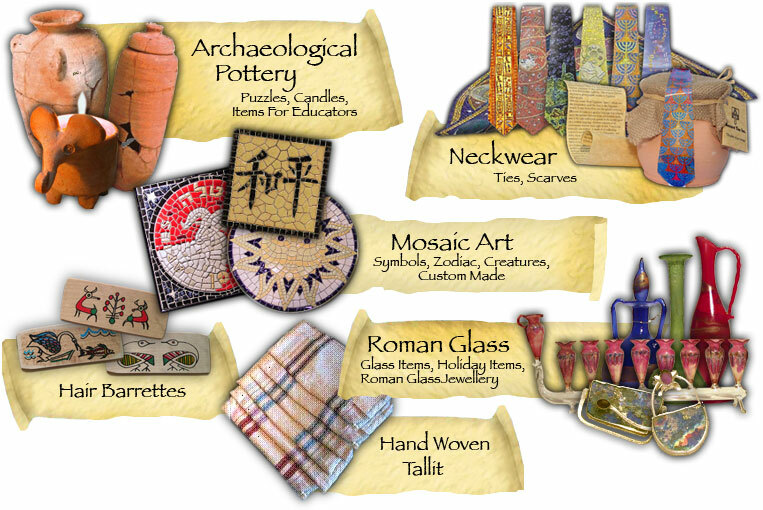 Ancient Ties is dedicated to providing outstanding unique hand crafted products and engagement opportunities promoting the ties that people have with their ancient heritage such as culture of values, leadership, affiliated or seen within Biblical (or religious) texts. For 18 years Ancient Ties has been creating for you a series of elegant hand crafted silk neckwear, depicting a rich heritage, through both traditional and contemporary designs. With a style to suit everyone, Ancient Ties is proud to offer you this unique, innovative line for both men and women. In 2009 Ancient Ties started rolling out Biblical T-shirts and Sweatshirts covering each Biblical story. We have continued developing unique mosaic art for your home or office. We are in the initial phases of expanding our reach by exploring the gamification platform. We hope that this will be another way that our brand can help support the mission and vision of Ancient Ties. Our mission at Ancient Ties is to personally design as well as select and import top quality hand crafted items that will incorporate an experience that you can dig into your history and find your Ancient Ties. We are currently selling our high end products in the US and the International market place. Ancient Ties is dedicated to our clientele by selling top quality products, and emphasizing a high level of service. We appreciate and want to hear feedback and suggestions to provide our costumers with the most rewarding experience. Please send us an email If you have any questions or comments or call us 508 965 8570.